It seems like everyone and their Mother is on Pinterest. So your jewelry or jewelry-making supply business better be there, too! Pinterest continues to grow with over 70 million users across the globe reported in 2015. Out of those 70+ million users, more than 80% are women. All of it--leave no section blank. Make sure you include your website URL and fill in the ''About'' section. You’re given a fairly small character count, so make your words count while including important keywords. Pick a profile picture you’re happy with and represents your business well because once you set it, don’t change it. Customers come to recognize your thumbnail image maybe even more so than the name of your business. Lastly, take advantage of the Pin It button and widget apps available under tools in the settings. These make it easy for customers to pin relevant images while visiting your website giving you free publicity on this social platform. Each board should be unique and board names should help explain what images customers will find inside. Choose a category and then write a description that includes any relevant hashtags. Pinterest thrives on pictures--obviously--so your pinned images need to be high quality if you want them to get attention. Pick board covers that look appealing and help summarize each board. Make sure your high-resolution pins link back to a relevant page on your website. Always include a description and throw in a few hashtags to make images easier to find in search. 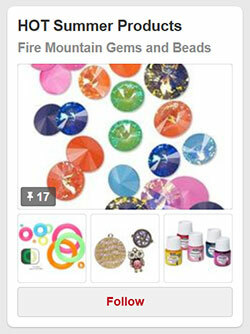 Take advantage of “rich pins” for Pinterest business users to include price and availability of product pins. Over 60% of Pinterest users say they find an item they have or want to buy by visiting this website, so make it easy for your followers to make that purchase. A surprising amount of businesses set up a Pinterest and then quit pinning. To attract, keep and engage followers, you need to pin, re-pin and ''like'' as well as follow other relevant profiles. Check your analytics, provided by Pinterest in your account settings, to see what is working and what isn’t. To increase interaction, lots of businesses create coupon boards or hold contests where users follow, re-pin, comment or create a board in order to enter. However you plan on engaging with users, just make sure to keep providing those beautiful images whether they are of product, helpful information or anything else your business is promoting.